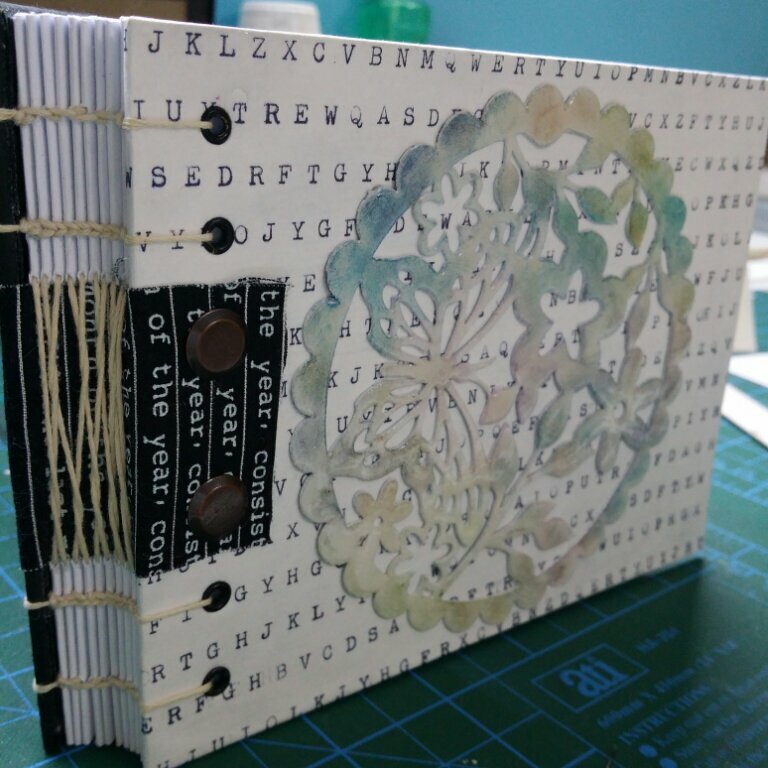 So for the binding of this particular book I thought I'd try to use the fabric that I bought as strips with a French Link stitch. At first I struggled to pick a color for the string because I didn't have any pastel colors to match my center piece and so decided to go for a cream colored thread. 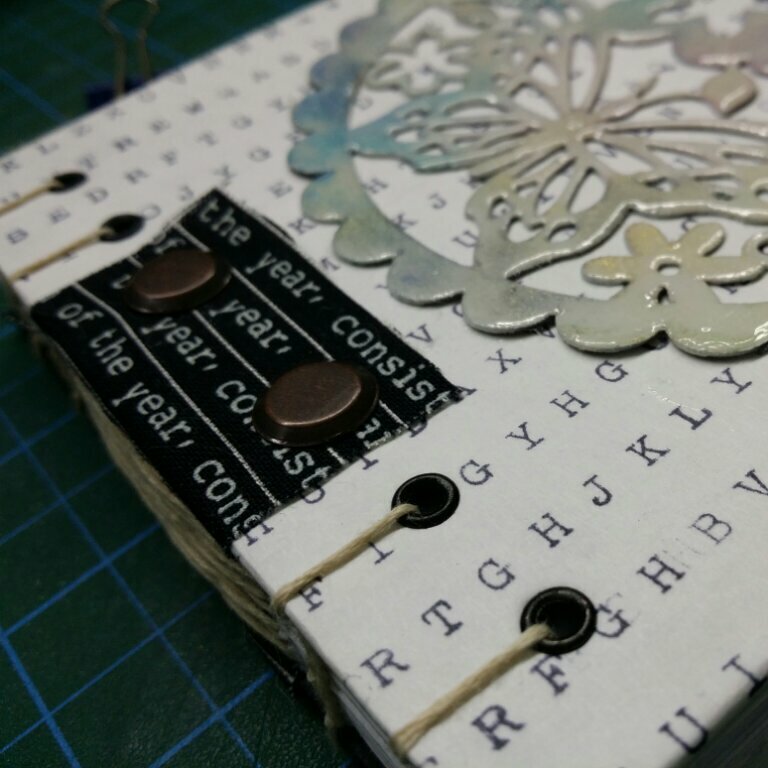 After all the piercing and preparation was done I started putting the book together and it was coming along better than I expected. Three hours of stitching later and the book was finished! And I couldn't be happier with the result! I love how it turned out! 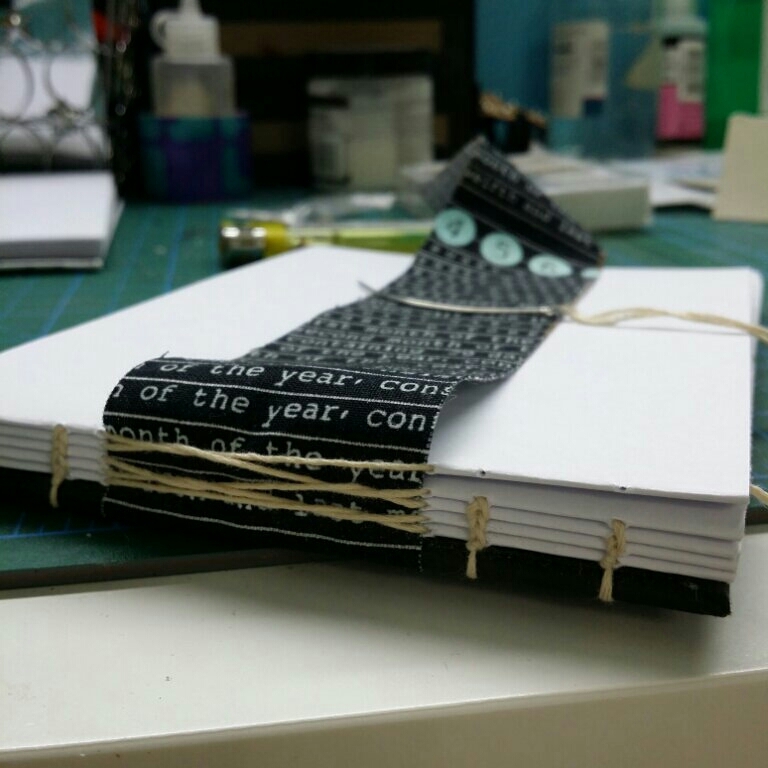 I used brads to attach the fabric to the front and I feel it added to the whole feel of the book. If I were to do this again, I'd have found a way to hide the prongs of the brads since they are visible on the back of the covers. In any case, I am very proud of this particular piece and I'd definitely try this ribbon method of binding but with different stitches and different kinds of fabric, lace and ribbons! If you want to acquire this piece, head over here!